Find out how to do professional makeup and learn some makeup tips so that each morning you will look like you are freshly out of the salon. 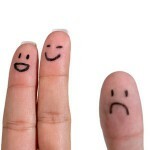 You might think it is not much, but you can be sure the people around you will notice the changes. 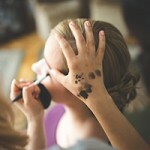 The women interested in the way they look would all like to know how to do makeup so that it is advantageous for them. There are numerous tips and tricks you could try, but in the end it all comes down to knowing what works for you. It also depends on the kind of products you would like to use. For instance some women would like to use only the best natural makeup while others don’t care about the ingredients. The ingredients determine the way the makeup should be applied so you will have to adjust your technique accordingly. Just make sure that whatever technique you choose, it will be appropriate for your skin. Before you apply any other product, you should start with your foundation. Just as the name suggests, this will set the tone for your makeup. When asking how to apply makeup, you have to make sure you have the right tools to apply the products. Let’s face it: all women have something to conceal and this is where the concealer comes in. The main point of it is to hide your flaws and help you achieve a smooth skin. For the best results you should make sure to use high quality products. In many cases the eyelashes are overseen even though they can do wonders for your look. Having curly lashes with “wake up” your face. 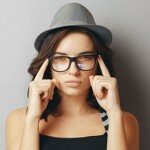 It will make you look more alert and more alluring. 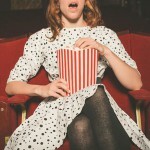 It is also a method or drawing the attention upon your eyes. The eyeshadow is meant to add some color to the face. You might have a favorite color palette, such as neutral colors, but you could be more adventurous from time to time and try some new colors. There is no way for you to go wrong. 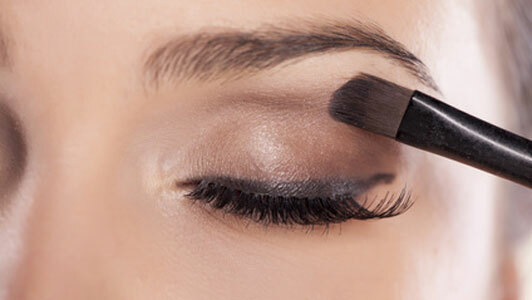 As it has been mentioned before, the lashes play an important role in your makeup. If you are asking how to put on makeup, you should make sure you choose the right mascara. It shouldn’t be too dark for your skin tone, but it shouldn’t be too light either. The eyebrows frame your face, so you should make sure not to forget about them. When choosing a color, ensure that it is close to your natural color, otherwise you could end up looking like a plastic doll. Since the beginnings of time glowy cheeks have been considered a sign of good health and even happiness. If you want to make sure you truly radiate, you shouldn’t forget about your cheeks. The color of the lips can be considered the cherry on the cake. If you are asking how to wear makeup, you have to make sure you choose the right color for the time of the day and for the occasion. The eyes are the window to the soul, so you should make sure you give them the attention they deserve. It might be a good idea to apply some eyeliner too. So, how to apply makeup to make you look your best every moment of the day? Here is a guide you could use during your morning routine. Before asking how to put on makeup, you should know that the color of the perfect foundation is closer to the color of your neck than the color of the face. This is important because the two have to blend in. Apply a bit of foundation to your forehead, cheeks, nose, and chin. Start working on the center of the face and work your way outwards. It might be a good idea to apply some foundation under the eyes as well if you happen to have dark circles. The foundation will make sure that your concealer will glide on smoothly. When wondering how to wear makeup, you should know that the concealer is your friend. 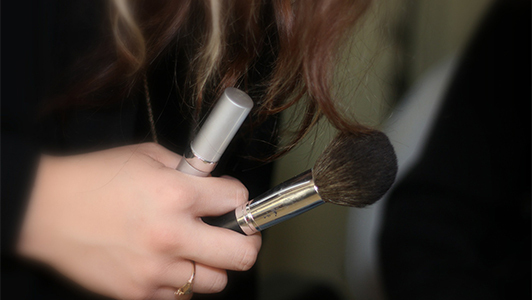 Use a brush to apply some concealer to the chin, around the nose, the T-zone, and under the eyes. You should work in layers and don’t apply too much product at once. 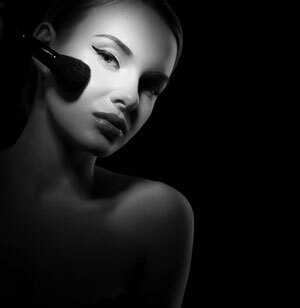 As one of the make up tricks, you should make sure that you choose a creamy formula that is easy to apply. 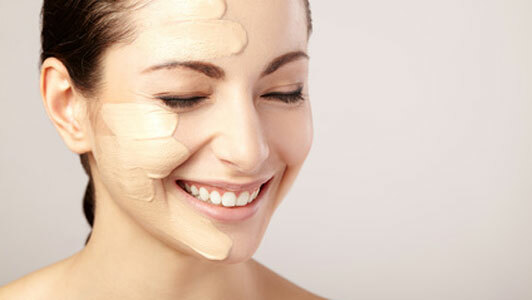 It is a myth that you ought to choose a concealer lighter than your skin tone. As a matter of fact, you should make sure the concealer matches your skin tone, just like the foundation. Nothing beats having curly lashes. Some women are lucky enough to have naturally long and curly lashes. In this case they might skip curling them. If you aren’t one of these lucky ladies, when asking how to do professional makeup, you should make sure you have a lash curler. Even though this may seem as torture equipment, soon it will become your best friend. In case you are wondering how to do natural makeup, you should stick to earthy tones when it comes to the eyeshadow. Otherwise you could add some glow to your eyes by applying a shimmery eye base. Make sure that you don’t apply too much product at once. You should build the color gradually. The color should blend in the eye socket and there is no reason to apply the shadow all the way to the eyebrows. In order to draw the attention upon the eyes, you could create a shadow under the eyes as well. 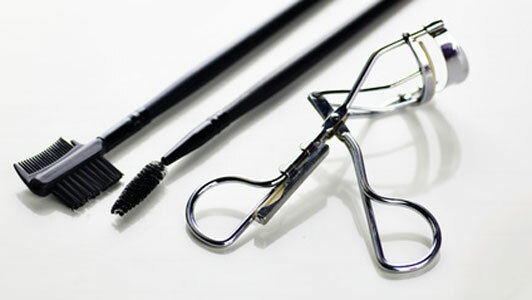 When it comes to how to properly apply makeup and mascara, you should make sure that define each lash individually. Start at the base of the lash and work your way to the tips. In the majority of the cases women only apply mascara to the underside of the lashes, but you could apply it to the top as well. If you are going for a daytime look, you could choose a dark brown color. However, if the natural color of the lashes is dark and you also have dark hair, you could also choose a black mascara. Just make sure it’s not too dark for the rest of your face. For sure you know that the brows frame the face. You should fill in the eyebrows to make them look fuller. As one of the easy makeup tips, you should make sure that the color you choose is slightly lighter than your natural color. You should use long and gentle strokes to elongate the features. Use these strokes to add definition to the brows and slightly change their form. For instance, you could add a small curve. Once you are done with the coloring, you should use a clean mascara wand (or a brow brush) to brush the hairs into place. In case you are creating your makeup for work, you might want to add glowy cheeks. This will make your face seem lighter. Choose a product with a creamy formula and use your middle finger to dab the product on your face. When asking how to do your makeup perfectly, you should make sure you don’t apply too much blush or you will end up looking like someone just slapped you. Again, you should make sure that the blush blends in with the rest of the colors. For the night you could choose darker colors to add more definition. As a rule of thumb, you should use lighter colors for the day and darker color for the night on the lips. Nonetheless, you may know some women who wear a fiery red during the day as well and they look wonderful. You have to find what works for you and stick to it. As one of the tips on makeup, you should look for lipsticks with a soft and creamy formula that moisturize the lips so you won’t have dry lips. 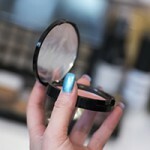 To make sure that the lipstick will last, you should apply a layer, dab it into the skin and then apply another layer. If you are looking for a more special aspect when it comes to how to do face makeup, you could add a glimmery color to the eyes, such as gold or bronze. Use your fingertips to apply the shadow and make sure there are no harsh lines. To add more definition to the eyes, you could use a brown eyeliner along the lash line. Following all these tips will ensure you that you will look your best every time you leave your home. In case you would like to know how to put on makeup, you have come to the right place. We have gathered the most important tips and tricks that you should know in order to have the perfect makeup all day, every day. 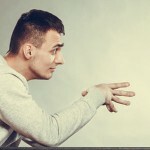 You just have to adopt new practices and some tactics and you will get there in no time. Make up has always been important for women. If you are interested in the way you look, for sure you would like to know about makeup tricks and tips that would change the way you look. 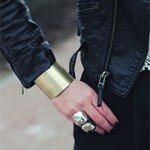 However, before adopting a new style, you should make sure it is truly suitable and appropriate for you. You will have to try to find out.